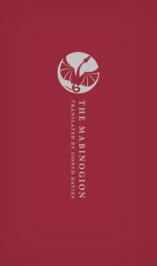 The Mabinogion is a collective name given to eleven medieval Welsh tales found mainly in two manuscripts – the White Book of Rhydderch (c. 1350), and the Red Book of Hergest (dated between 1382 and c.1410). The term is a scribal error for mabinogi, derived from the Welsh word mab meaning ‘son, boy’; its original meaning was probably ‘youth’ or ‘story of youth’, but finally it meant no more than ‘tale’ or ‘story’. The title was popularized in the nineteenth century when Lady Charlotte Guest translated the tales into English. Despite many common themes, the tales were never conceived as an organic group, and are certainly not the work of a single author. Moreover, the ‘authors’ are anonymous, suggesting that there was no sense of ‘ownership’ and that the texts were viewed as part of the collective memory. Their roots lie in oral tradition as they reflect a collaboration between the oral and literary cultures, giving us an intriguing insight into the world of the medieval Welsh storyteller. Performance features such as episodic structure, repetition, verbal formulae, and dialogue are an integral part of their fabric, partly because the ‘authors’ inherited pre-literary modes of narrating, and partly because in a culture where very few could read and write, tales and poems would be performed before a listening audience; even when a text was committed to parchment, one can assume that public readings were the norm. Therefore, the overriding aim of this translation was to convey the performability of The Mabinogion; as such the acoustic dimension was a major consideration. Their roots lie in oral tradition as they reflect a collaboration between the oral and literary cultures, giving us an intriguing insight into the world of the medieval Welsh storyteller. The dating and chronology of the tales are problematic – they were probably written down sometime during the twelfth and thirteenth centuries, against a background which saw the Welsh struggling to retain their independence in the face of the Anglo-Norman conquest. Although Wales had not developed into a single kingship, it certainly was developing a shared sense of the past, and pride in a common descent from the Britons. The basic concept of medieval Welsh historiography was that the Welsh were the rightful heirs to the sovereignty of Britain; despite invasions by the Romans and the Picts, and despite losing the crown to the Saxons, the Welsh would eventually overcome and a golden age of British rule would be restored. This theme of the loss of Britain is attested in the tale of Lludd and Llefelys which tells of the three ‘plagues’ that threaten the Island of Britain. The Dream of Maxen, on the other hand, tells of the historical Magnus Maximus, proclaimed emperor by his troops in Britain in AD 383; he depletes Britain of her military resources, so leaving the Island at the mercy of foreign invaders and marking the beginning of Wales as a nation according to certain interpretations. Arthur, who came to play a leading role in the development of Welsh identity, is a central figure in five of the Mabinogion tales. The author of Rhonabwy’s Dream has a cynical view of national leaders and kingship as Arthur himself and all his trappings are mocked. The author of How Culhwch won Olwen, on the other hand, sees Arthur as the model of an over-king, holding court in Gelli Wig in Cornwall and heading a band of the strangest warriors ever – men such as Canhastyr Hundred-Hands and Gwiawn Cat-Eye – who, together with Arthur, ensure that Culhwch overcomes his stepmother’s curse and marries Olwen, daughter of Ysbaddaden Chief Giant. In the tales of Peredur son of Efrog, Geraint son of Erbin, and The Lady of the Well, Arthur’s court is relocated at Caerllion on Usk, and Arthur’s role is similar to that found in the continental romances – a passive figure, who leaves adventure to his knights. These are three hybrid texts, typical of a post-colonial world. With the Four Branches of the Mabinogi we are in a familiar geographical landscape and a society apparently pre-dating any Norman influence. Indeed, the action is located in a pre-Christian Wales, where the main protagonists are mythological figures. Even though it is doubtful whether their significance was understood by a medieval audience, the mythological themes make for fascinating stories: journeys to an otherworld paradise where time stands still and where mortals do not age; the cauldron of rebirth which revives dead warriors; shape-shifting where an unfaithful wife is transformed into an owl. But these are more than mere tales of magic and suspense. All the tales of the Mabinogion provided their audience with ethical dilemmas concerning moral, political and legal issues. Nowhere is this more apparent than in the Four Branches of the Mabinogi – it is they that convey most effectively the appropriate moral behaviour that is essential for a society to survive. In the first three branches, the nature of insult, compensation, and friendship are explored. In the Fourth Branch, however, further considerations are raised. Math, lord of Gwynedd, is not only insulted, but also dishonoured – his virgin foot-holder is raped, and his dignity as a person is attacked. The offenders, his own nephews, are transformed into animals – male and female – and are shamed by having offspring from one another. However, once their punishment is complete, Math forgives them in the spirit of reconciliation. Throughout the Four Branches, therefore, the author conveys a scale of values which he commends to contemporary society, doing so by implication rather than by any direct commentary. Authors from Tennyson to Tolkien, from Evangeline Walton to Lloyd Alexander have been inspired by The Mabinogion while the tales are still being performed today by professional storytellers – tangible proof of their lasting significance and resonance. Featured image credit: “Drudwy Branwen” by Anatiomaros. Public domain via Wikimedia Commons. Sioned Davies is Chair of Welsh at Cardiff University. Her special interest is the interplay between literacy and the oral tradition, together with the performance aspects of medieval Welsh narrative. Her publications include Crefft y Cyfarwydd, a study of narrative techniques in the Mabinogion, The Four Branches of the Mabinogi, and a co-edited volume, The Horse in Celtic Culture: Medieval Welsh Perspectives.